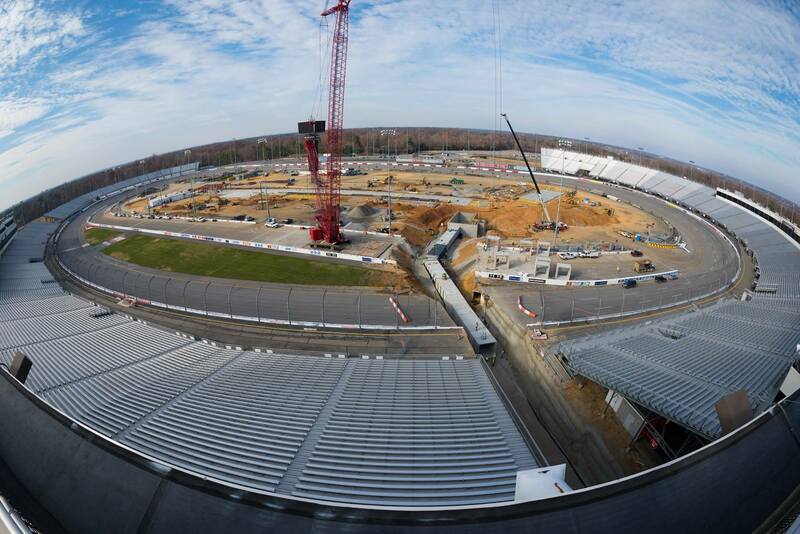 Richmond Raceway Reimagined (Reimagined) hit a major milestone Monday with the installation of the new pedestrian tunnel. 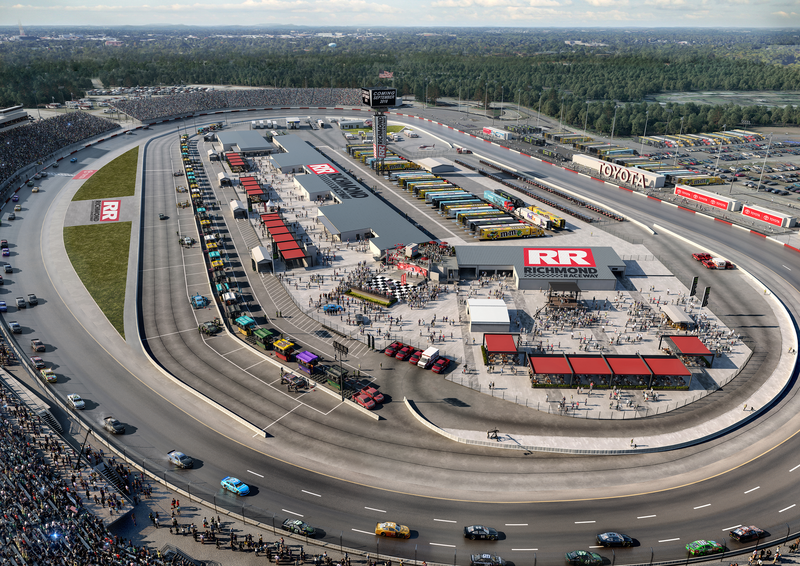 The $30 million infield redevelopment project at Richmond Raceway (Richmond) has been moving forward since the groundbreaking in September. The expanded pedestrian tunnel installed near Turn 1 will allow more fans to have access to the modernized infield. The construction milestone was marked by long-time RICHMOND NATION member, Dean Lewis, who signed the pedestrian tunnel for our loyal season ticket holders. Lewis has attended races and camped at Richmond since 1974. The expanded width of the new pedestrian tunnel will allow more fans to comfortably travel to and from the new infield. The ADA Accessible tunnel also includes an elevator for more convenient transportation for all fans. The entire tunnel is made of 6,506 cubic yards of concrete, 220,326 square feet of slab, and 256,000 pounds of rebar. It measures 415 linear feet comprised of 10’x10′ concrete boxes and weighs 1,100 tons. It took 55 tractor trailers to deliver the pedestrian tunnel. A crane standing 282 feet high, the tallest structure in Henrico County, and weighing one million pounds is being used in the installation of the tunnel. To deliver the crane, it took 30 tractor trailer loads. Reimagined is a $30 million infield redevelopment project bringing new attractions and state of the art fan-based attractions to the historic Richmond infield. Once completed, the new space will blend modern amenities for today’s fans with the iconic Richmond racing experience fans have come to expect. Rising above Reimagined will be an exclusive 80-person rooftop club overlooking Gatorade Victory Lane; providing one of the most unique views in all of NASCAR. Two new garage suites, featuring ground level views of the Monster Energy Series garage will also debut in the modernized infield. Additionally, Reimagined provides partners with new fan engagement opportunities and innovative signage that is unprecedented in the market. The modernized infield debuts over Richmond’s first NASCAR playoff weekend on September 21-22, 2018. Fans can purchase tickets to be in the new infield and become a part of history. One-day ($70) and two-day ($125) tickets are available for purchase by calling 866-455-7223 or visiting the Richmond Ticket Office.